Has anyone ever seen this type of medallion before? 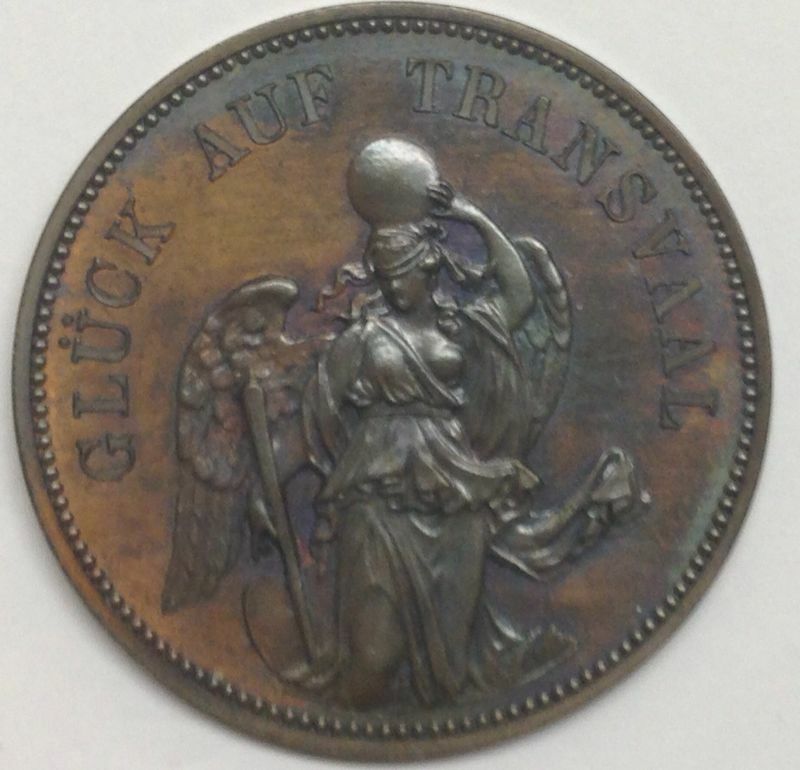 It is a super beautiful German medal that - most probably - commemorates the strike of the first ZAR coins in Berlin in 1892...? 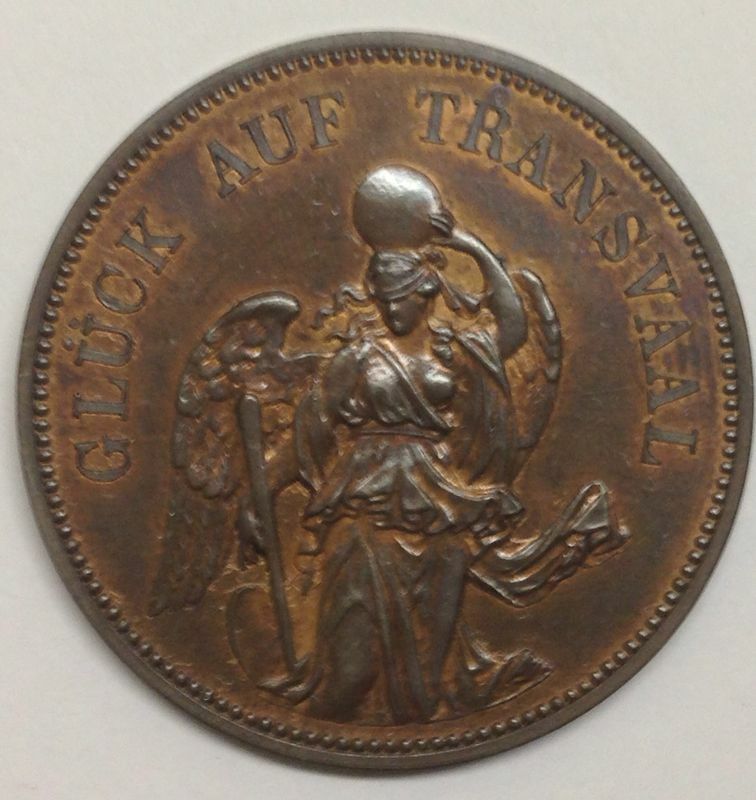 Good luck Transvaal ("Gluck auf Transvaal"). 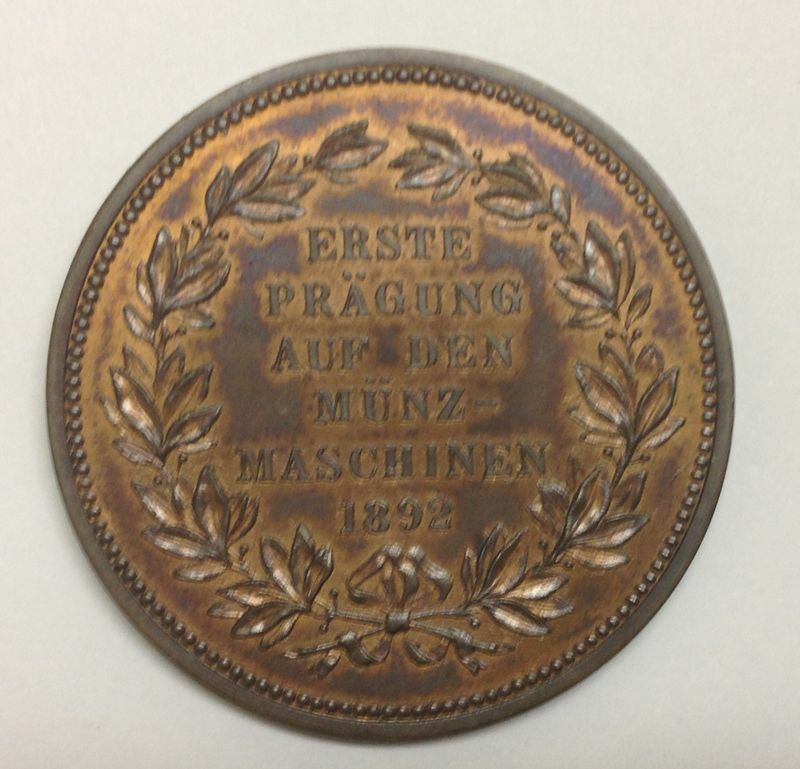 The medallion was issued to commemorate the opening of the State Mint in Pretoria in 1892. It was struck in Berlin from dies prepared by Otto Schultz. There are two varieties of this medallion. The number of medallions struck is said to be around 25. They are very scarce medallions. I have attached pictures of both types. On the reverse have a look at the berries on the wreath, and the position of the A in the word "Pragung"
Interesting, are u selling it, the word scarce caught my interest! how does one value such things? I would not no how to price these items. Herns Catalogue apparently lists them for R3500.00, which could never in a million years be correct. Anthony mentions 25 struck. I know of four pieces, including these two. Two of the one variety, and two of the other. Maybe Anthony could comment on how to guesstimate a price. I agree, items rare should fetch more. I want to learn about coins....any advice? I would put the value of these medallions around R20,000 to R25,000. 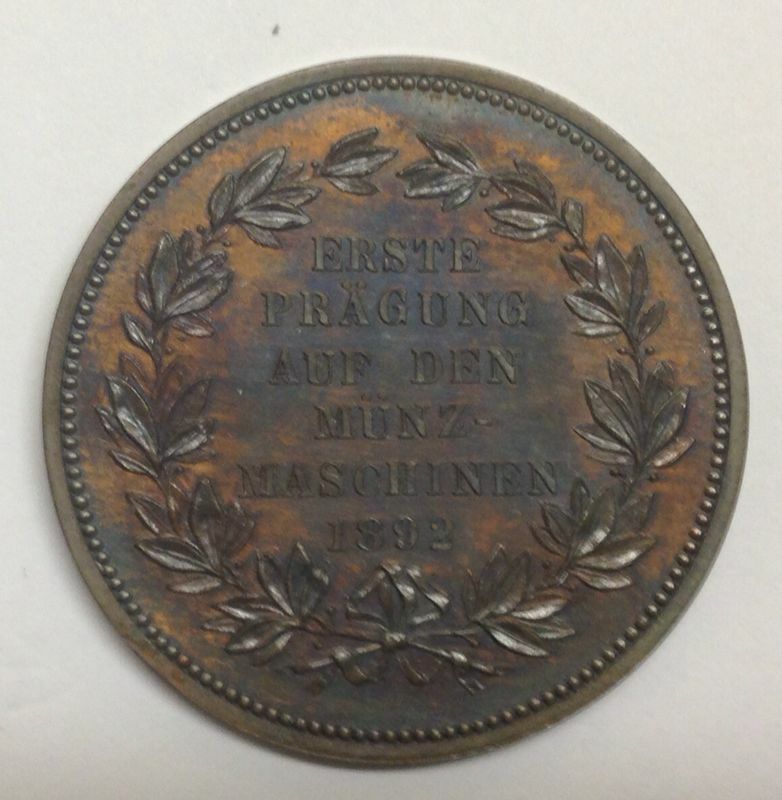 The mention is that there were about 25 of these medallions produced. I have seen and know of a few in collections. I know of about 15 in existance (Both Varieties). So 25 to 30 mintage seems about right.